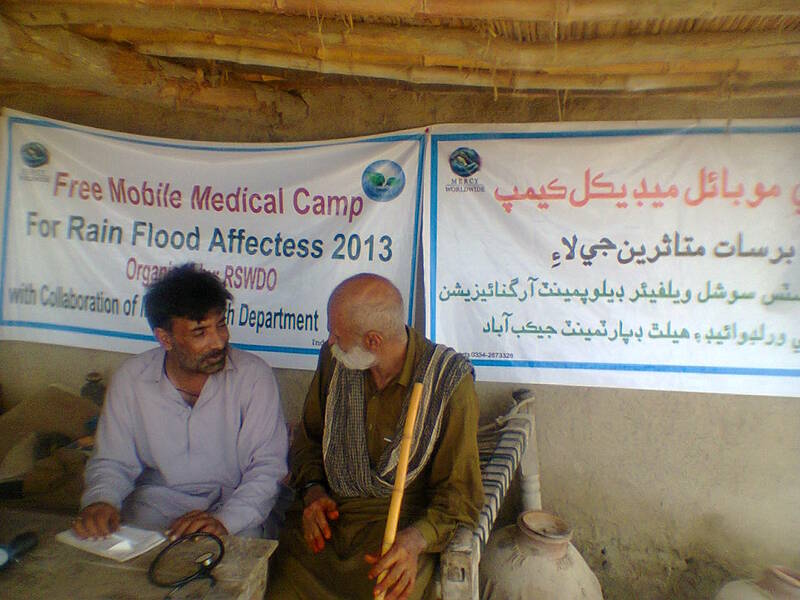 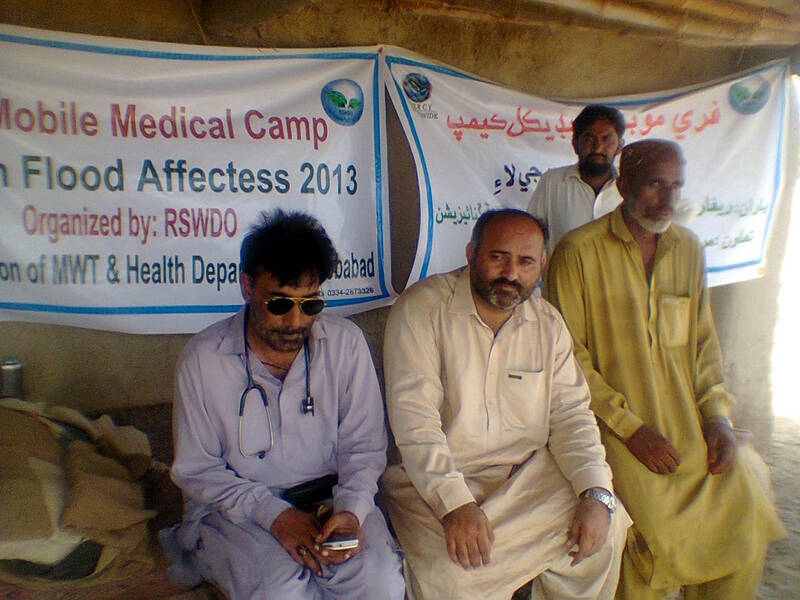 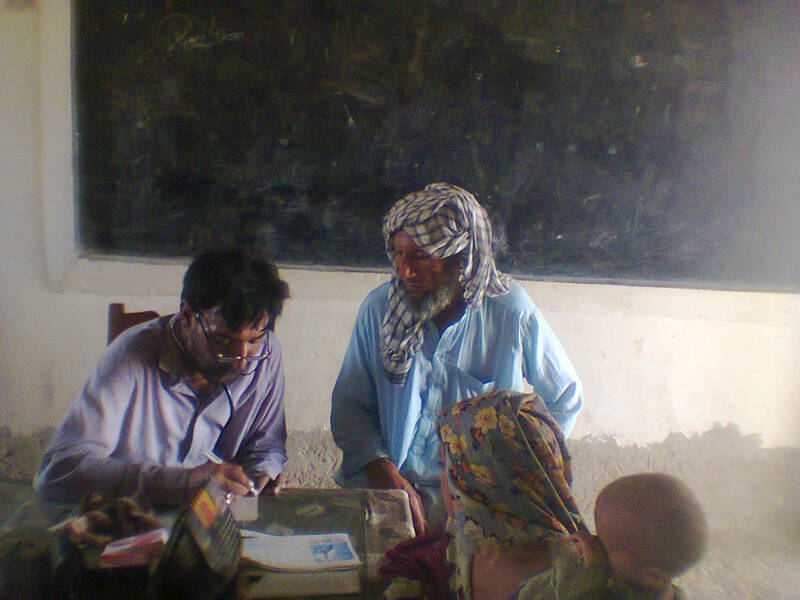 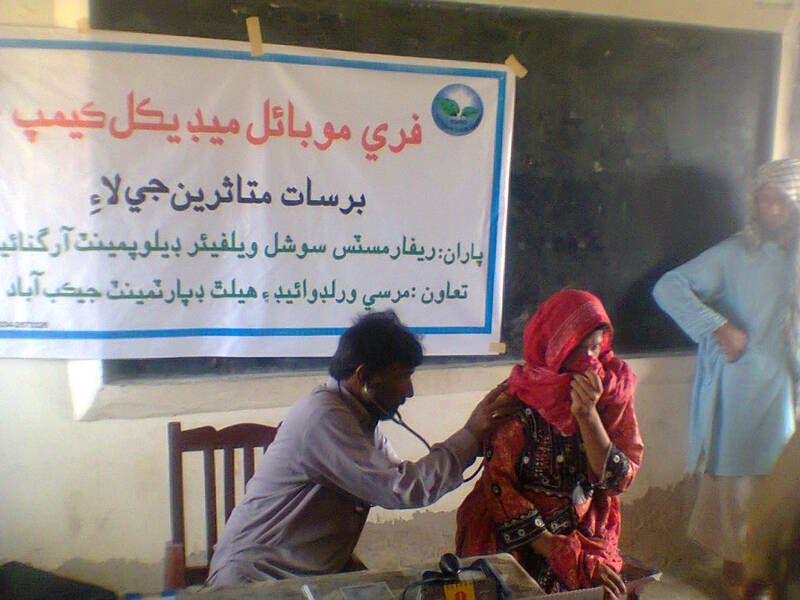 Working with our partner RSWDO in Sindh, Medical Camps were arranged with the Collaboration of health department Jacobabad, at village Mohammad Panah katohar Uc kot jango. 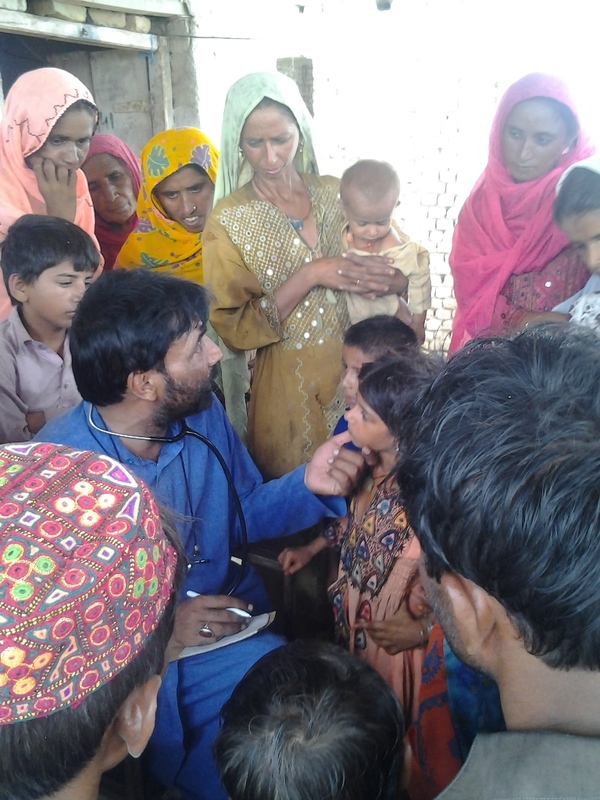 A large number of male female and children attended the camp. 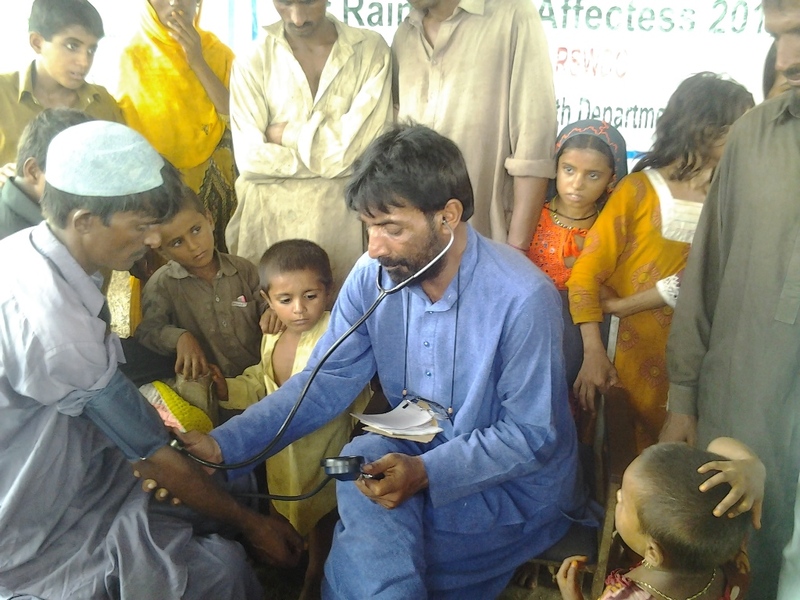 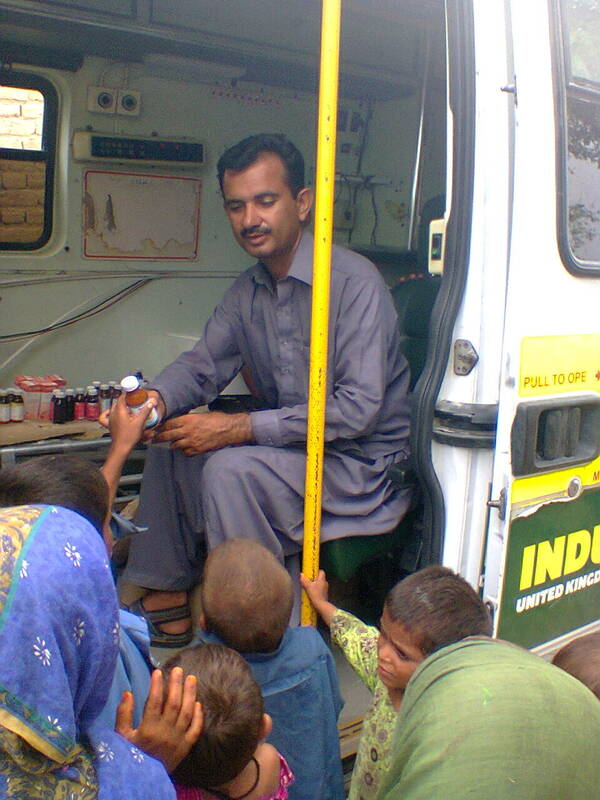 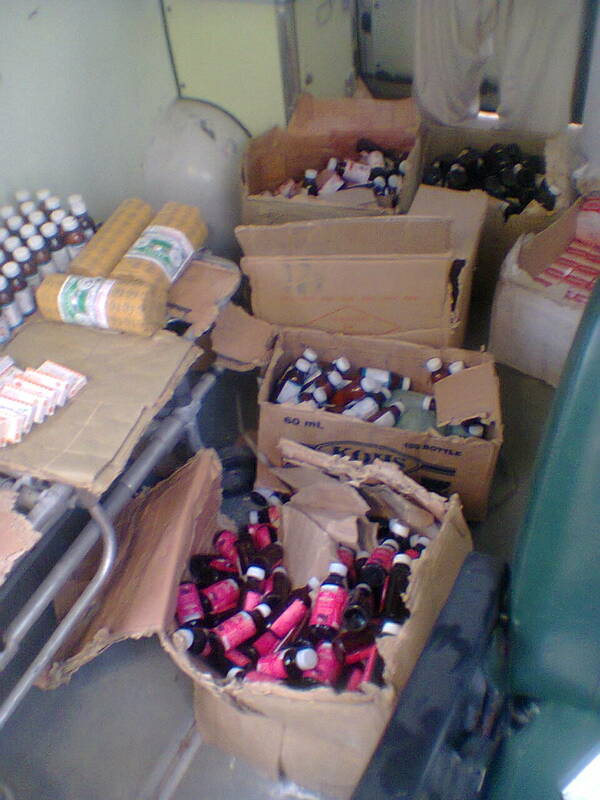 The patients were examined, treated and give necessary medicines free of cost. 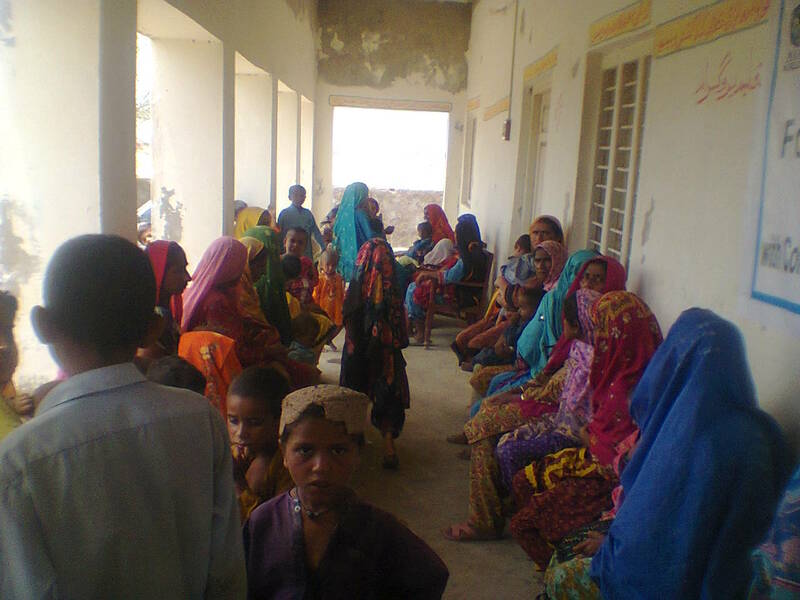 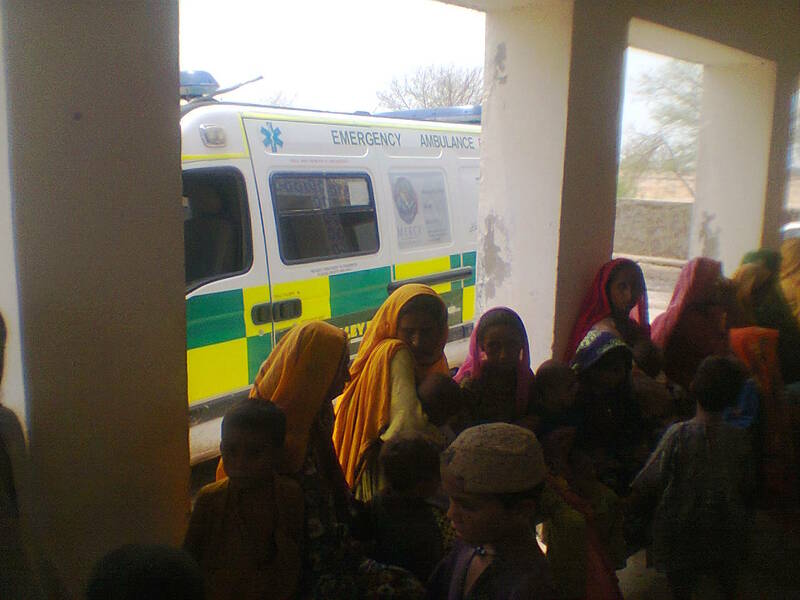 Many female patients were also examined and treated at the medical camp. 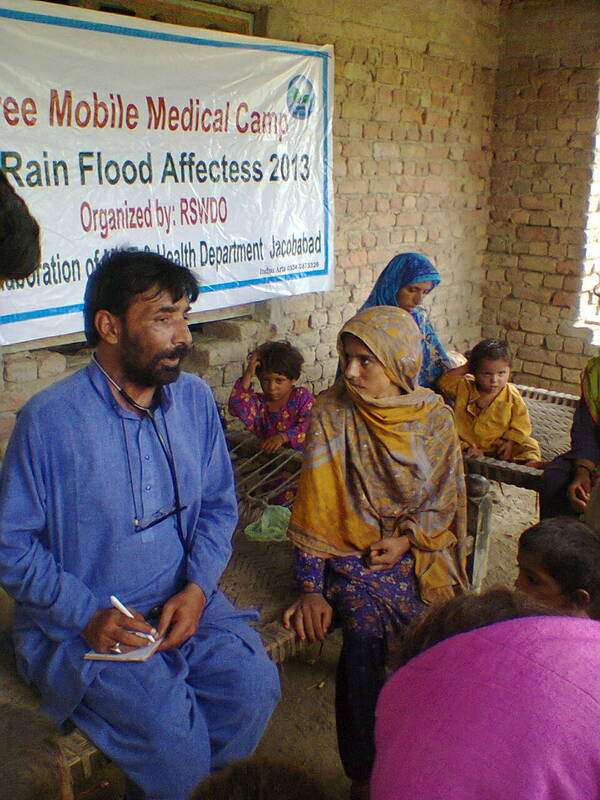 Also counseling was done at the camp. 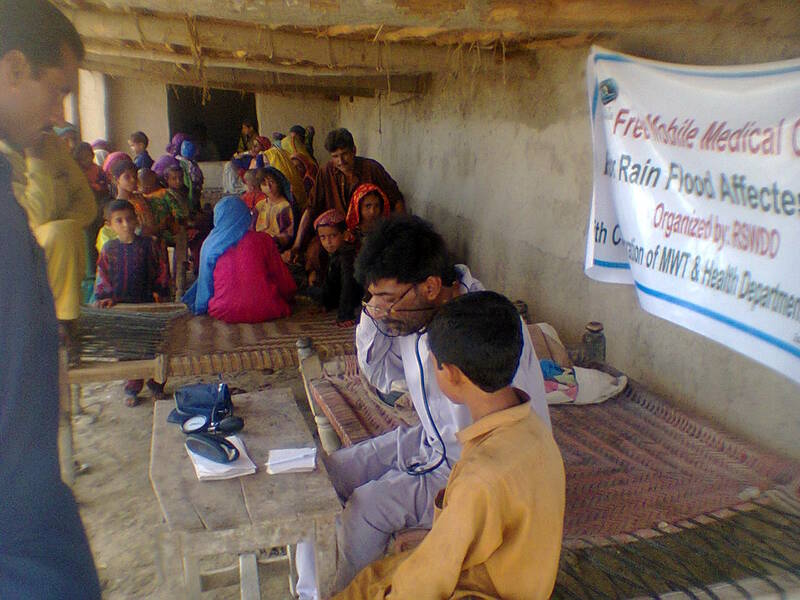 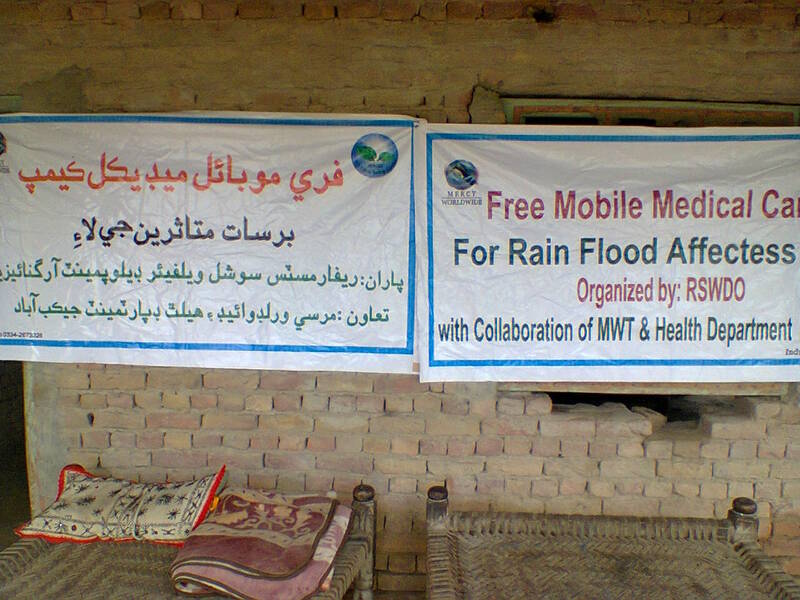 Due to recent rainfall many patients suffered from diarrhea, ARI malaria, and skin and eye infections. 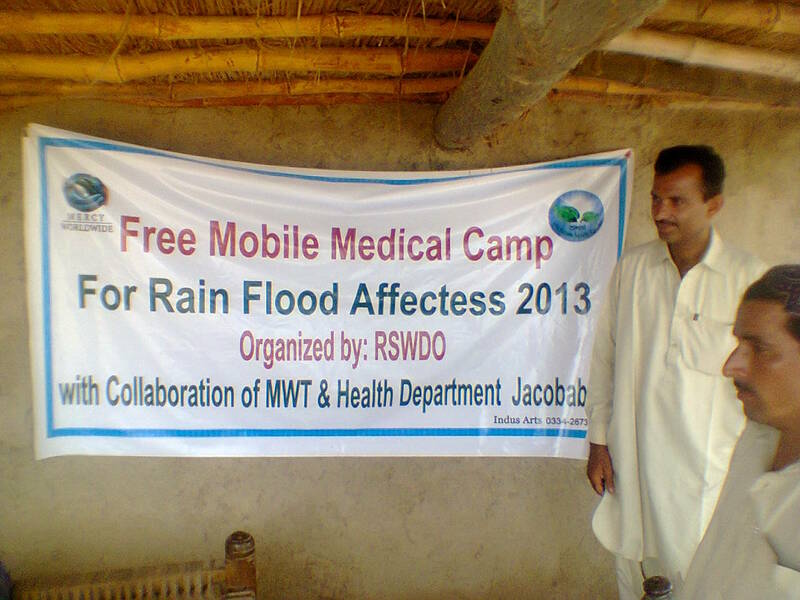 All the participants were also given water purifying tablets and preventive doses of Malaria. 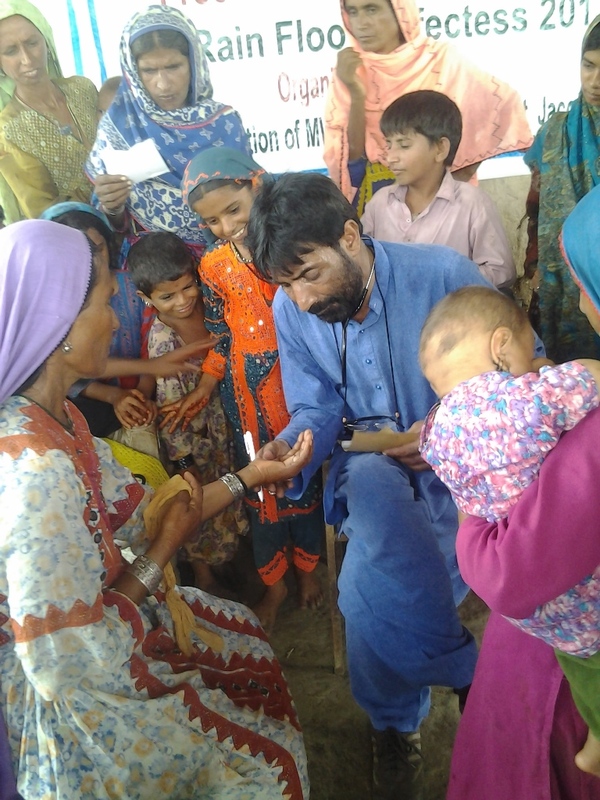 Many female suffered from anemia, these anemic women were given iron fluoric acid and multivitamin tablets.